The Diamond DA20 is one of the world's premiere flight training aircraft. Taking a look at the unique Diamond DA20 Katana. Let’s start with a little history of this bird, shall we? Produced by Austrian aircraft manufacturer Diamond Aircraft, the Diamond DA20 Katana is a low wing two seat, single engine, piston aircraft with a castering nose wheel and some pretty unique design elements. Derived from the HOAC AG produced HK36 Super Dimona motor glider (pictured below), the Katana began its development in 1991 and was rapidly certified for flight two years later as the Dimona Katana DV20. During 1992, the company changed its name to Dimona Aircraft and began production in London, Ontario, Canada to meet the needs of the North American flight training market. Once released in 1993, the DV-20 was shown to the world at the Paris Airshow, and that same year the Katana started its demo tour around the United States and Canada. A couple years later in 1995, the first Canadian-built Dimona Katana was delivered to Central Missouri State University and the aircraft was designated the DA20-A1. The first DA20-A1 was powered by a Rotax 912 engine that produced 80 hp, the same engine that powered the HK36 Super Dimona. Also in 1995, the DA20-A1 received the Flying Eagle Award from Flying Magazine for best light aircraft. One year later, the company changed its name again, to Diamond Aircraft. 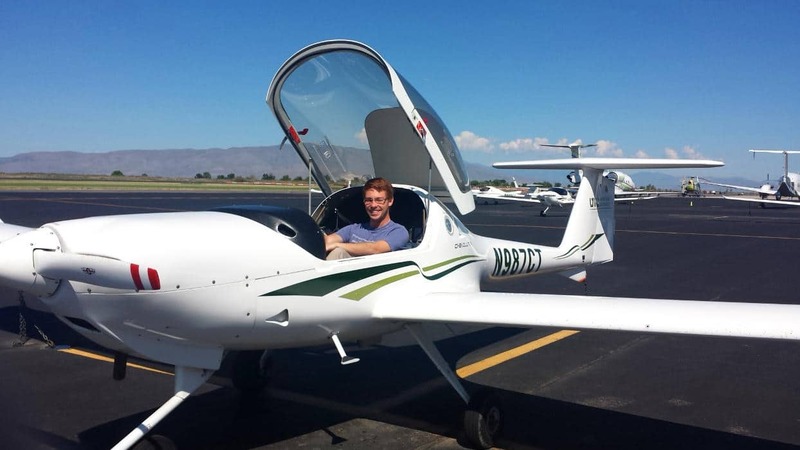 Currently produced as the Diamond DA20, with a 125 hp Continental IO-240 engine, the aircraft has gone through several minor variations and has proved to be an excellent flight training aircraft. 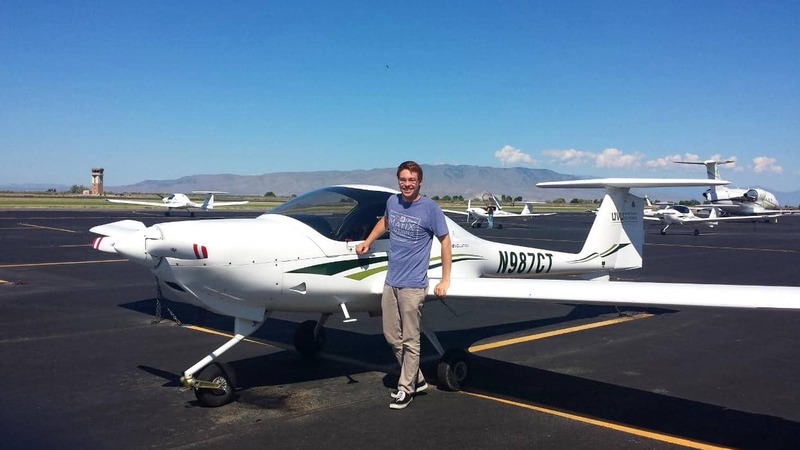 It has quickly become popular among many University flight programs and flight schools across North America and most developed countries around the globe. What makes the Diamond DA20 Special? At first glance, you may not initially think much of the Diamond DA20, but its efficiency may surprise you. One of its most unique characteristics of the DA20 is that it is a fully composite aircraft. The wings and fuselage are of a semi-monocoque glass fiber reinforced plastic (GFRP) and the bulkhead and wing spars are made from carbon fiber reinforced plastic (CFRP). Choosing these composite materials for this aircraft provides an overall, light weight and a very strong structure. There isn’t a single seam because of this material choice as well, which greatly reduces drag and improves efficiency. The DA20-A1, for example, originally only had 80 hp to pull it through the air and was still able to cruise at a respectable 117 ktas using a 75% power setting and an altitude of 7,500 feet. Efficiency is also increased by the relatively large 35 foot 7-inch wingspan which, is a full 2 feet 3 inches longer than its most comparable North American flight training competitors, the Cessna 150 and 152. On the downside, this aircraft was designed for VMC conditions and is not IFR certified. This is mostly because of lightning protection for the occupants. The DA-20 features a large bubble canopy which provides excellent visibility. The canopy also lifts up and back, almost completely out of the way, which makes getting in and out of this little plane a breeze. Once inside the cockpit, you see there is a stick instead of a yoke and all the flight instruments are on the left side and only engine gauges and fuses are on the right (except with the Falcon variant). This airplane just screams trainer and it is obvious that was Diamond’s intention when they began the design of this aircraft. In fact, it is such a good trainer, the United States Air Force Academy uses it as its initial flight training aircraft. In 1999, the factory refurbished and re-engined Diamond DA20-100 was introduced for the European market. This variant featured a Rotax 912S motor that produced 100 hp and increased cruise performance to 123 ktas at 75% power and an altitude of 7,500 feet. The service ceiling also went up to 17,600 feet from the A1’s service ceiling of 14,000 feet. Powered by a more powerful, 125 hp Continental IO-240 engine, in order to accommodate the extra 70 pounds of the new engine. The Katana’s battery was moved behind the baggage bay to help move the empty CG aft, and the wing sweep has been changed from 1 degree aft to just 0.5 degrees to shift the center of lift forward. The previous Katanas had simple hinged flaps — but at the higher maximum weight, more sophisticated slotted flaps were necessary to bring the stall speed to the JAR-VLA-specified 45 knots. The Evolution is a stripped down C1, intended specifically for flight schools as a trainer. This variant did not have rear windows and was powered the same 125 hp Continental IO-240-B engine as the Katana variant. A better-equipped C1 for private use, with rear windows for better visibility. Also powered by the 125 hp Continental IO-240-B engine and entered production in 1999. A military trainer version, powered by a 125 hp Continental IO-240-B engine. Instruments were moved in front of the right seat, where the student sits. This puts the stick in the student’s right hand and throttle in the left, similar to fighter aircraft. This variant was also equipped with a smaller fuel tank. It also retains the rear windows for the added visibility. The author next to a Diamond DA20. I started flying the Diamond DA20 about a year ago and have accumulated about 40 hours flying the DA20-C1. 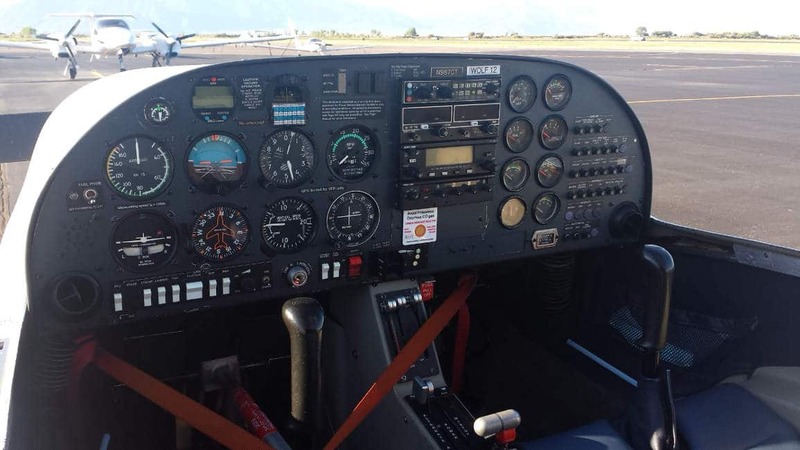 Initially, it seemed far different than the Cessna 150s and 152s I had been used to flying but I adapted quickly and have found this aircraft to be very nice little plane to fly. The long wings give you an excellent glide ratio (11:1) in the event something goes amiss, and you have to make an emergency landing, you’ve got a little extra time. 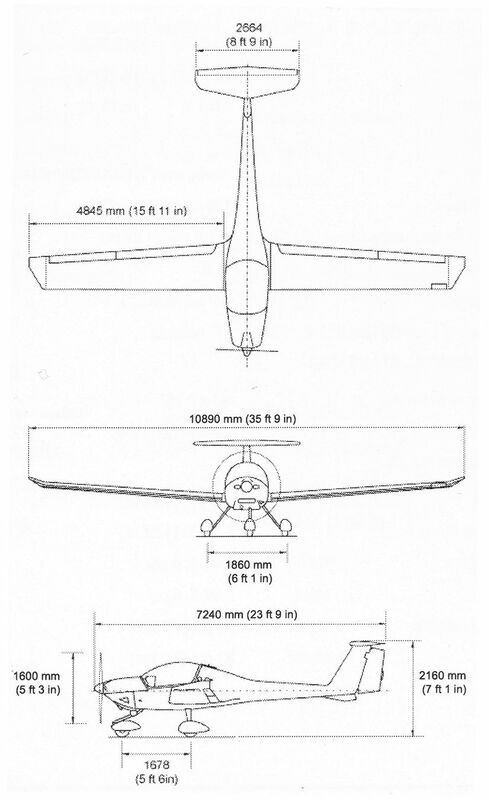 Even though the DA20 has such a long wingspan, it doesn’t make turns sluggishly, as one may think. It responds crisply in turns and is a very forgiving and smooth aircraft to fly, in all phases of flight. I attribute it to the composite structure but the DA20 has great feedback and it is very easy to “feel” the aircraft and respond accordingly. Visibility is superb with that bubble canopy and was a vast improvement from what I was used to. It did take me a few minutes to get used to the castering nose wheel but for the most part, it’s an easy adjustment. Overall I love flying the DA20 and find it to be a perfectly suited to its flight training role. It is also fun to fly, it almost feels like a junior fighter plane. As a personal aircraft it is a bit small, but if you don’t mind limited baggage room, it would make for a great commuter. Thanks for the great history of this plane. My flying school as two of these. Love ’em.